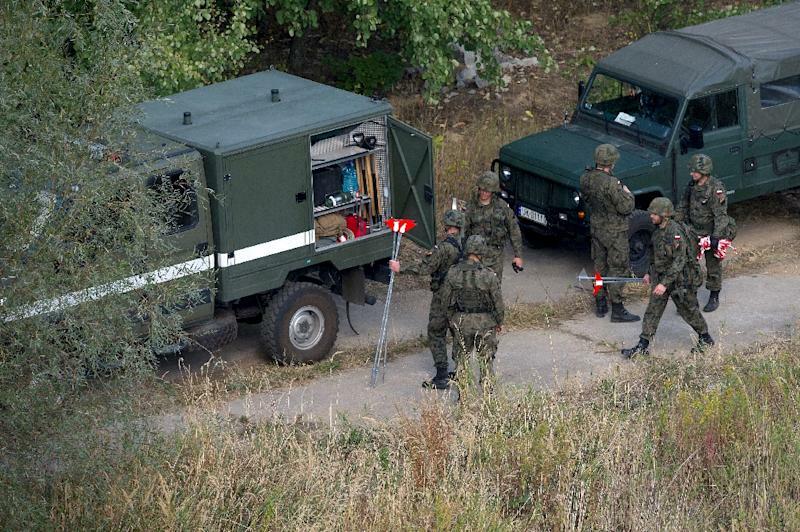 Warsaw (AFP) - Poland's army said Monday it has begun inspecting the southwestern area where two men claim to have discovered an armoured Nazi gold train buried at the end of World War II. The treasure hunters -- a German and a Pole -- left the world spellbound last month with their alleged find near the city of Walbrzych of a railway car potentially full of jewels and gold stolen by the Nazis. "Our goal is to check whether there's any hazardous material at the site," said Colonel Artur Talik, who is leading the search using mine detectors and ground-penetrating radar. The governor of the region of Lower Silesia, Tomasz Smolarz, added that "other decisions" regarding the search for the train would be made "once safety is assured at the site". Piotr Koper, a Pole, and German national Andreas Richter announced last month they had discovered a 98-metre-long (320-foot-long) train carriage buried eight to nine metres underground. They believe the contents are mostly weapon prototypes, though according to local legend they could also include artwork and Nazi documents. Deputy Culture Minister Piotr Zuchowski said last month he was "more than 99 percent sure" the train exists because of ground-penetrating radar images he had seen. But officials have since cast doubt on its existence, saying there was no credible evidence of it. They have not however given up on verifying the claim. Rumours of two Nazi trains that disappeared in the spring of 1945 have been circulating for years, capturing the imagination of countless treasure-hunters. The lore is fuelled by a massive network of secret underground tunnels near Walbrzych -- including around the massive Ksiaz Castle -- that Nazi Germany built and where legend has it the Third Reich stashed looted valuables.